It’s no secret that Twitter is my favorite social media platform. I spend more time there than I do anywhere else online. I’ve met so many cool people and made so many friends on Twitter. I don’t know what I’d do without it. Twitter is fantastic for writers. It allows you to meet all kinds of readers and writers and editors and agents. It’s a great source of inspiration, encouragement, and advice. I’ve learned so much from Twitter. If you don’t have an account, you should sign up right away. For those of you who have a Twitter account but haven’t figured out how to network just yet, don’t despair. It’s easier to make friends on Twitter than you think. Keep reading for some tips for joining the online cocktail party. Don’t be afraid to make the first move. For a long time, I didn’t interact with anyone on Twitter because I was afraid of annoying them. Most of the time, if you reply to someone’s tweets, they’ll be flattered, not annoyed. You should only reply if you plan to say something relevant or add something to the conversation, though. Don’t try to use their tweets to draw attention to yourself. Participate in chats. 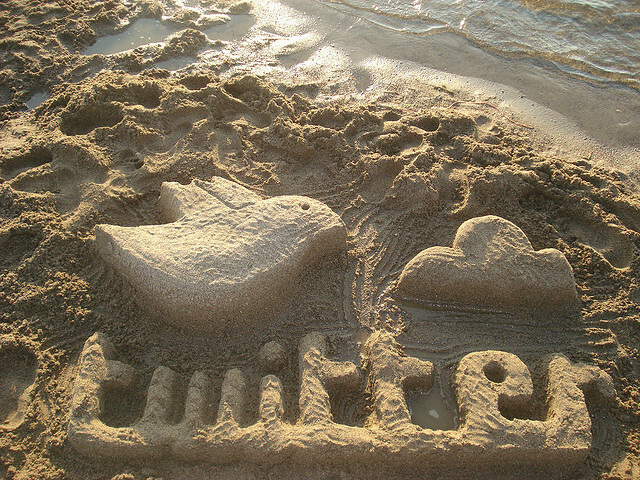 Author Ava Jae wrote an excellent post about why writers should participate in Twitter chats. They’re an excellent way to meet people who share similar interests. Retweet posts you think are worth sharing. It’s a great way to support other members of the writing community. Who knows? They might retweet you, too! Focus on giving more than receiving. If you want to make friends on Twitter, don’t make it all about you. Be kind, support others, and help people out however you can. A little goes a long way. Making friends on Twitter is easier than you think. You shouldn’t be afraid to approach other users, strike up a conversation, and make connections. Sign up for Twitter if you haven’t already and get to making friends! What are you waiting for? What tips do you have for making friends on Twitter? Leave your answers and thoughts in the comments below. Following people back can be tricky – it’s nearly impossible to follow everyone back for me, but I try to follow people back who have made an effort to talk to me. By selectively following people, I feel like I’ve been able to get maximum engagement on Twitter, which makes me enjoy the platform so much more. Also, we met on Twitter! 🙂 Thanks for commenting! I freaking love Twitter. I’ve actually had my account since 2012, but never actively used it until last summer (2014). It was intimidating at first, but once I started posting my own things and engaging with others, it was an absolute blast (still is). It’s amazing how much I’ve learned and gotten involved in the writing world; it’s probably my top social media platform I’d recommend for getting yourself out to a wide audience, as well as meeting new people whom you share common interests with. Great post, I tota agree with this. I much prefer Twitter to other (let’s be honest: Facebook) social medias. Twitter can be tough to earn some people’s followback – even after striking up a conversation with then. I usually try for humor, though my dry brand of sarcasm isn’t always everyone’s cup of tea. In any case, I’m glad I joined Twitter and found so many awesome people from around the world, who all share my own interests. Hashtags, I have found, are your best friends with Twitter, and one thing that makes them great. I’ve met a lot of people and gotten more attention when I use popular hashtags or hashtags related to what I’m talking about. They’re a good way of finding people with similar interests, or people looking for something specific. Hashtags are big. I want to get into the habit of using them more often. Great points all, I’m glad for Twitter because I met you guys there for starters too. How to make friends on twitter? Same as making friends in the real world: Be nice, be honest, don’t bother people if they tell you they’re busy (which is their nice way to say back off) and be available. Oh, yes. I’m glad I met you, too! It’s refreshing also to read a pro-Twitter post. There are so many “ugh Twitter is the worst, don’t even bother me on there” posts. You speak the Truth. I’ve done a plethora of posts on the topic, including my most recent (http://potatochipmath.blogspot.ca/2015/02/rockin-robin-tweet-tweet.html – which summarises my previous posts on this nicely, I think) and Chuck Wendig just did one too (http://terribleminds.com/ramble/2015/02/23/the-social-media-rules-that-govern-my-slapdash-online-existence). A common thread I’m seeing among all those who touch upon this subject is that of mutual respect and concerning yourself more with what you are putting in rather than what you expect to get out. Twitter chats are so fun! Every blogger should participate in at least one! 🙂 Great tips. Congrats on making the roundup! Most definitely. Giving is key. I’ll check out those posts, too – thanks for sharing! You should get into Twitter! I’d be more than happy to help you. 🙂 I know some cool people there.